Oh how I wish I had little girls! They would have every one of these books on their shelves for us to read together at night. This delightful story was easy to read and I can't imagine any little girl not loving it. I'm far from a little girl and the story delighted me. 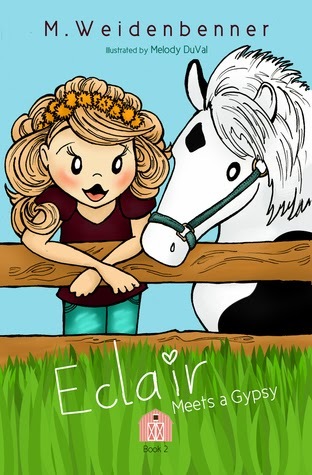 Grandma Stella is fun, Eclair is a typical 7 year old and every page had me smiling or laughing. I admit that I'd love to know Gypsy's secret...it wasn't quite revealed in this book.